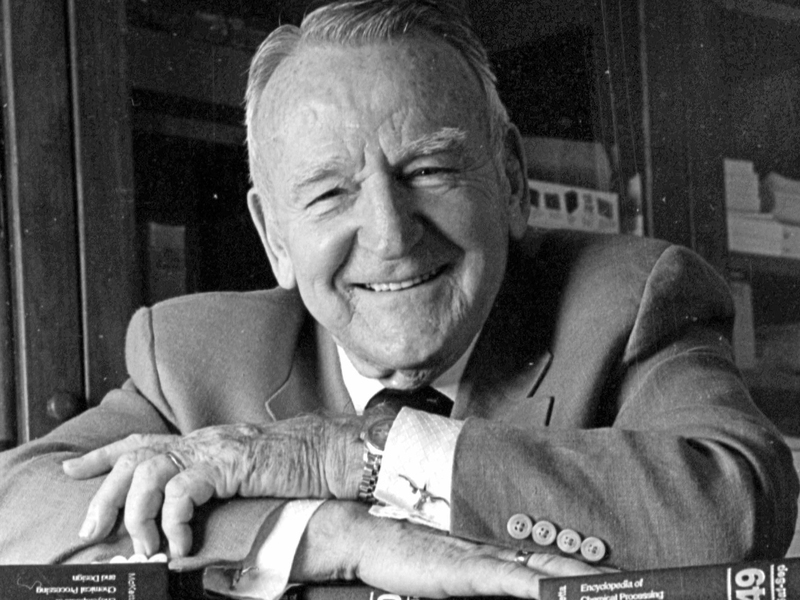 John J. McKetta Jr., professor emeritus and dean emeritus at The University of Texas at Austin and namesake to the chemical engineering department in the Cockrell School of Engineering, died Tuesday, Jan. 15 at age 103. Calling UT Austin home for more than 70 years, McKetta is known throughout the university community as one of the warmest, friendliest and most inspiring people on the Forty Acres. The chemical engineering department will host a memorial service to celebrate McKetta’s life on Saturday, Feb. 9, from 2 to 5 p.m. at the AT&T Executive Education and Conference Center. Memorial gifts can be made online at giving.utexas.edu/McKettaMemorial, by mail to McKetta Memorial, 200 E. Dean Keeton St., Stop C0400 Austin, TX 78712 or by phone 512-471-3263.